Arrive NJP Rlw Station / Bagdogra airport with assistance of our representative you will be transferred to Darjeeling Hotel. On arrival at Hotel check to the hotel. Overnight Night stay at Darjeeling. Darjeeling early Morning excursion to Tiger Hill for Sunrise over Mount Kanchejunga-As the sun appears, the mountain changes color in what is a pretty darn amazing sight , Ghoom Monastery & Batasia Loop. 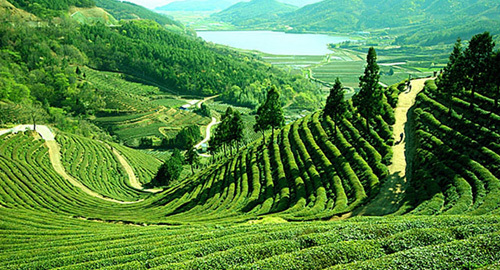 After breakfast at hotel, depart for the sight seeing half Day city tour of Darjeeling. Parmesan Nadia Himalayan Zoological park, Himalayan Mountaineering Institute, ( Closed on Thursday), Ropeway, Tensing -- Gumbo Rock, Tibetan Refugee Self Help Center( Closed on Sunday),Tea Estate, Natural History Museum, ( Sunday Closed ) , Peace Pagoda. Overnight at Darjeeling. After breakfast at hotel, take a full day excursion tour of Mirik Lake: It's a beautiful place with a Lake surrounded by thick forest. It's a very peasefull & beautiful sight which attracts a number of tourist coming over here we will take you there via Nepal Border. Overnight at Darjeeling. Day 04: Darjeeling-NJP Railway Station/Bagdogra Airport. After breakfast at hotel, transfer to the NJP Railway station/Bagdogra airport for your journey. All transfers & sightseeing by NON Ac vehicle as per itinerary program only. The car will not be on disposable basis.